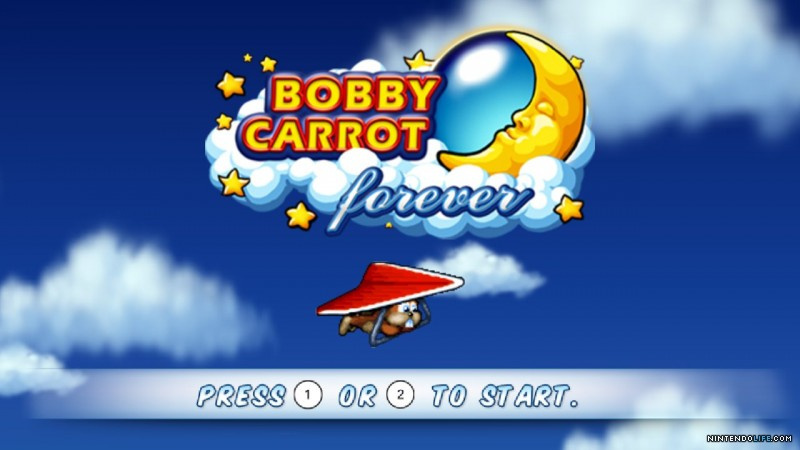 It's been a long road for FDG Entertainment in getting Bobby Carrot Forever ready for release on the WiiWare service, and the end of that road is finally in sight. We've brought you exclusive screenshots of the latest instalment in the puzzle series, which also launched on iOS devices, we then brought you the trailer and game details. Now we can tell you that the game has been submitted for lotcheck, taking us that much closer to the game's release. Gamers will be tasked with collecting carrots and planting easter eggs within the levels. Only when all carrots have been collected will the exit be active. Of course, there will be puzzles and obstacles in your way. Players will be able to take on 70 levels with additional levels available via download. Stay tuned as we wait for release details. That logo looks like Jett Rocket. Always bet on Bobby Carrot. The rapids in the middle of the river, and the far-left tiles on the tree. Whenever I see a rabbit-related game, I remind myself of Jazz Jackrabbit... Would love to see a Jazz game on the 3DS. Wow! This looks like a good game. And that's with a rabbit! Wait, you mean we get to find actual Easter Eggs in a video game? That's interesting.